Those with reservation deposits in get first choices before we post any here. Email sk11fotos@hotmail.com - or private message us on Facebook. 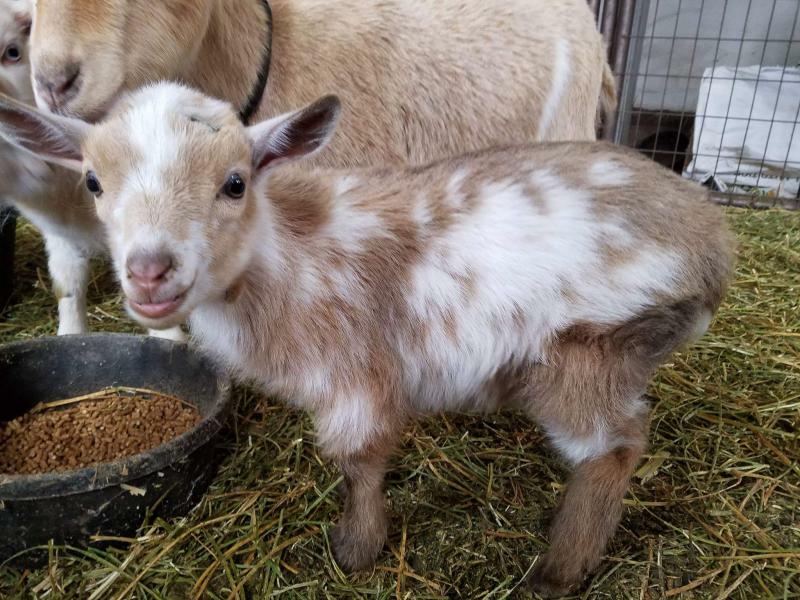 Click on the video tab to see fun baby goat videos. We are in east central Nebraska. Near Shelby, Nebraska - pretty much centrally located in eastern Nebraska. Just a little over an hour or so drive from Grand Island, Lincoln, Fremont or Norfolk areas. RESERVATIONS(DEPOSITS) & WAITING LIST: Specific reservations are filled first - those who have made paid reservations(have put deposits down prior to birth) will be emailed first and given choices before we email the waiting list. Email sk11fotos@hotmail.com or contact us on our Facebook page to send us a message if you are interested in making a reservation(put a deposit down) - or if you arent ready to put a deposit down we can still jot your email address down on the waiting list - we will email as remaining babies become available (first come first serve once they are posted below).﻿ Deposits can be made by via PayPal. $100deposit to hold a doe or buck, $50deposit to hold a wether. Deposits are non-refundable. We cannot hold an animal without a deposit. When you are transporting goat kids or adult goats - a large size dog crate should work on most, add absorbency of some kind. 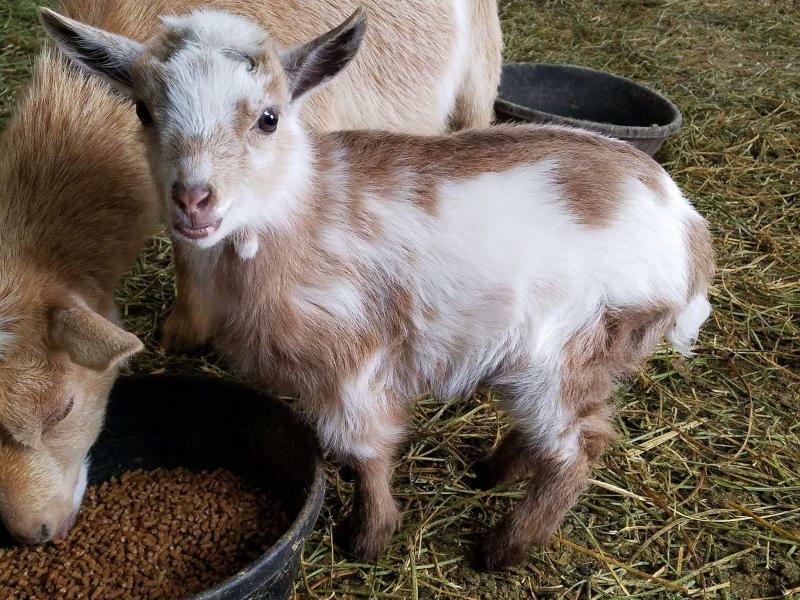 Please transport them in a crate inside vehicle due to cold wind & stress, (no truck beds with wire pens -those are too cold/windy for baby goats). Most vans, suv's and extended cab pickups fit large dog carriers inside (a large dog crate will fit for your goats lifetime & serve in case a vet trip is ever needed). Paid reservations for does/doelings are filled first. Please contact us by email sk11fotos@hotmail.com or through the Farm Swiftwind Facebook page - if you'd like to make a reservation/put deposit down or if you would like an email when extras are available. *****Reserve 2019 doelings now by deposit. Prices vary $400-$550+. Deposit $100 per. Those with reservations get first choices before any are posted here. Deposit paid reservations for intact bucklings are filled first. Some bucklings may be listed as available as intact bucks. 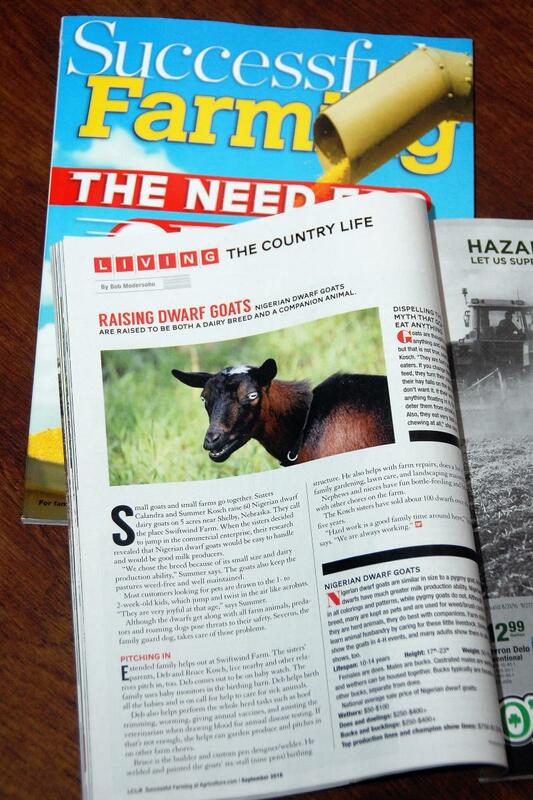 Though the majority of bucklings born will be listed as wethers. ﻿ If those marked as bucks do not sell before weaning age(8wks old), they may be retained in our herd or then available as wethers. None at this time, but can Inquire to see if we have any we will part with.